A lunchtime Disruptive Byte with games designers/artist/researchers from Disruptive Media Learning Lab and Ontario College of Art and Design University Toronto. Three 15-minute presentations will introduce three games designed to address social issues including disability awareness and homelessness. This workshop will induct you into 3 games and provide inspiration for how to use gamification to support engagement within the classroom. This workshop is open to all but will be particularly useful for individuals involved in student engagement with social issues and/or co-creative design. Lauren Heywood, DMLL Innovation and Community Producer, will talk about her game What Is My Story? which asks players to create a narrative around a given topic using the People, Context and Activity cards, and to share their story with other players. The activity encourages learners to employ a complex combination of skills, develop confidence in sharing their ideas which are then peer reviewed. Jackie Calderwood, DMLL Research Fellow, will present the current state of development of Homeless Monopoly, a City of Culture project in collaboration with University of Warwick and Coventry Cyrenians that aims to raise awareness in young people of the issues faced by Coventry’s rapidly increasing homeless population. Special guests Nina Czegledy and Lynne Heller from OCAD University Toronto will introduce the Dobble Debate card game that uses humour to engage players with the challenges and possibilities posed by a range of different abilities and disabilities. 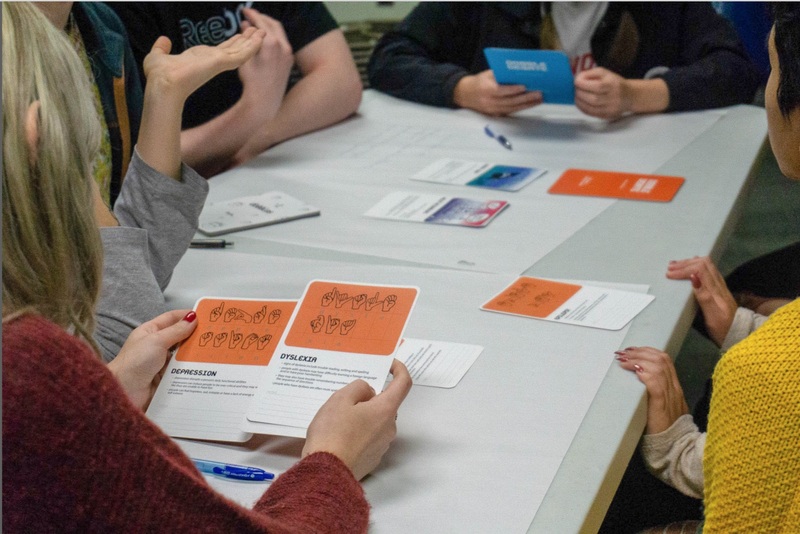 This lunchtime session will be followed by a workshop with Dobble Debate game designers Nina Czegledy and Dr Lynne Heller from OCAD University Toronto – please book separately for the workshop, read more online here.